विद्या एक गुप्त धन | Chanakya Wisedom Quotes About Learning & Gaining Knowledge. Chanakya Wisdom Quote About Son. Chankya Wisdom Quote About Being Safe. Chanakya Quote About Treating Your Son. Chankya Wisdom Quote About Learned & Virtuous Son. हिंदी साहित्य मार्गदर्शन: विद्या एक गुप्त धन | Chanakya Wisedom Quotes About Learning & Gaining Knowledge. 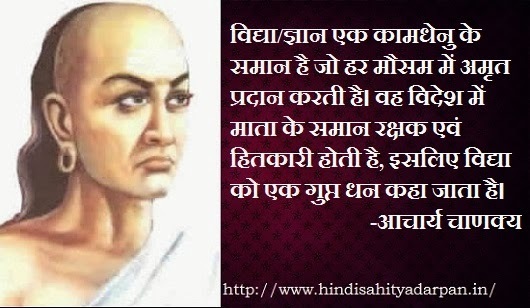 Acharya chanakya picture quotes in hindi about learning and gaining knowledge.